Some Velvet Morning are issuing a release a month throughout 2016. The ‘Musical Chairs’ EP features the brand new title track, ‘Mailer’, the band’s tribute the late political novelist Norman Mailer, together with the previous singles ‘No Walls’ and ‘Damocles’. 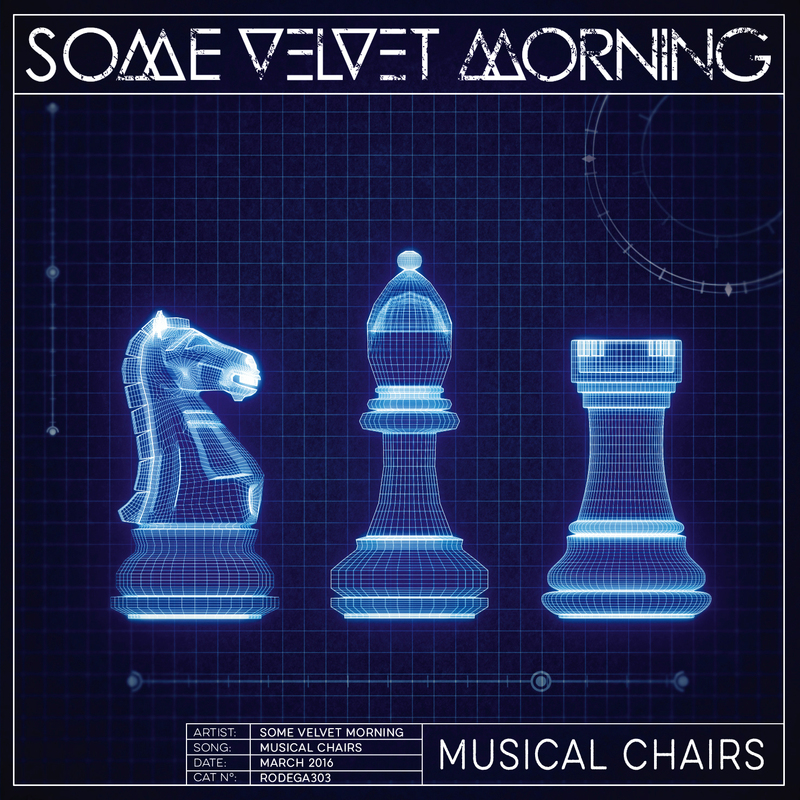 Some Velvet Morning issued a single a month throughout 2016. This is a collection of those 12 releases – ‘Damocles’, ‘No Walls’, ‘Musical Chairs’ and ‘Satellite’ feature in the forthcoming movie, ‘Kat and The Band‘.